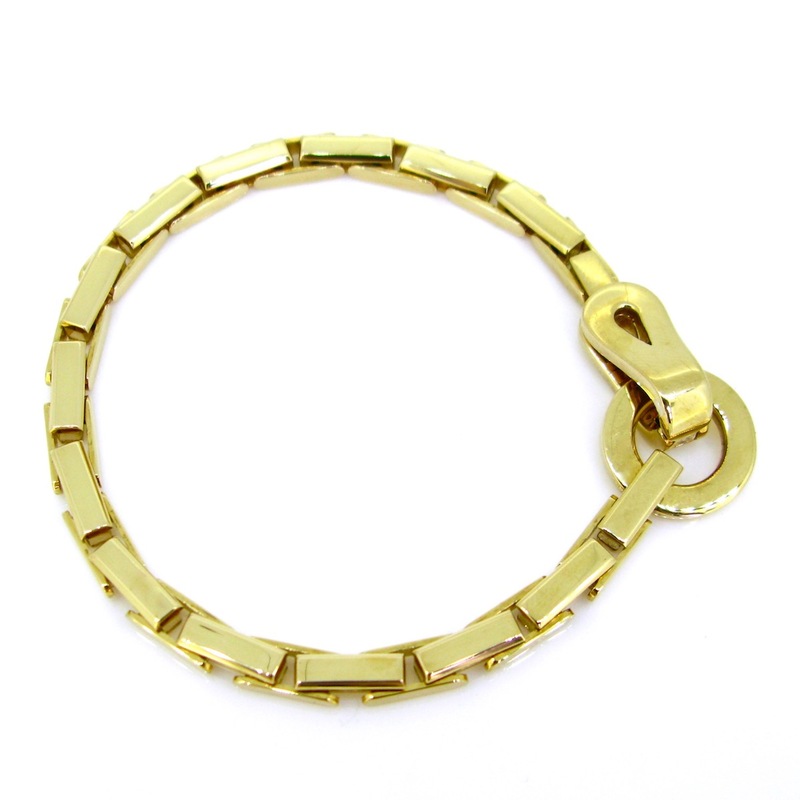 This vintage bracelet is from the Agrafe collection, made by Cartier. The clasp is actually looks like an “Agrafe” as it means in French a hook clasp. The gold is smooth and shiny, very confortable to wear. 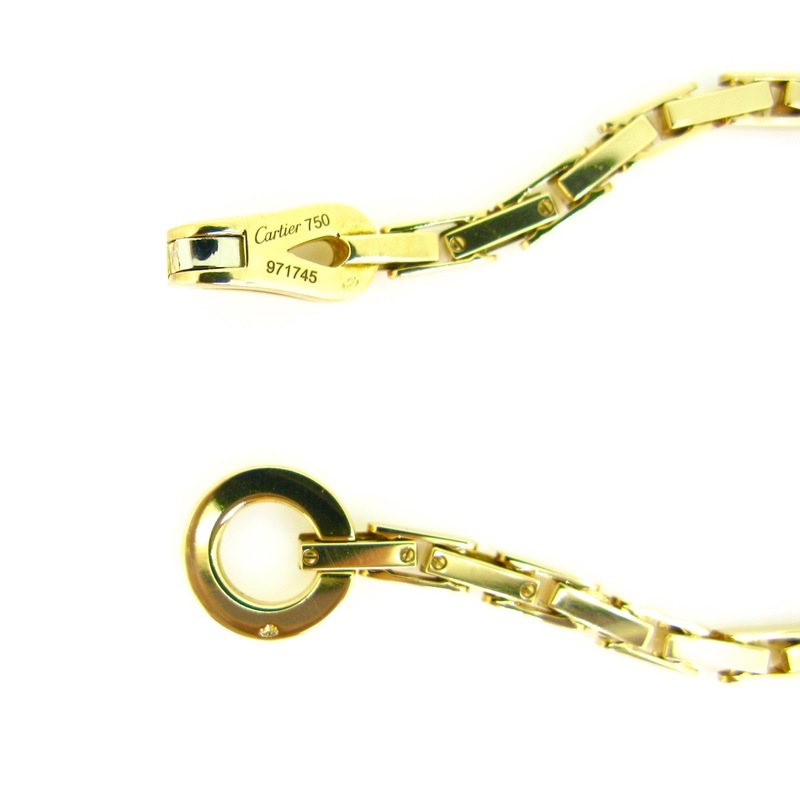 The clasp is signed Cartier and numbered. The bracelet is 18,5cm/7.5in long and easily adjustable. 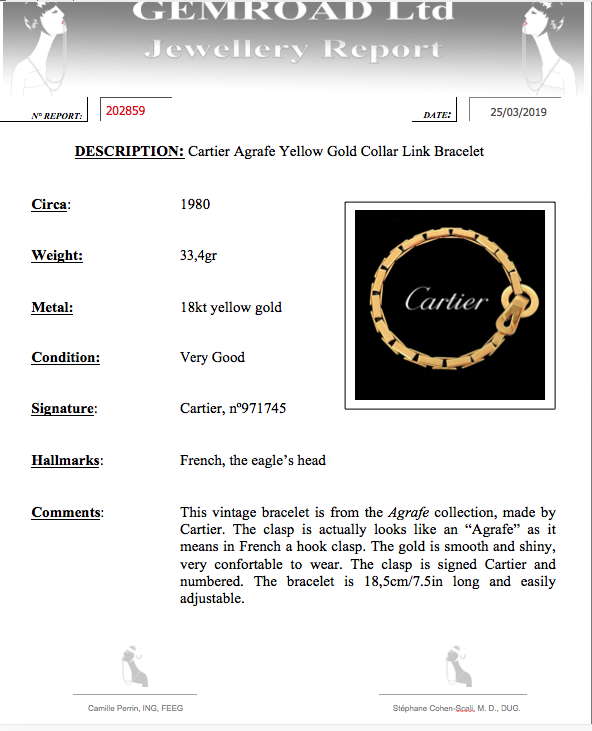 All our items comes with either a gemmological report or a jewellery report with circa and all useful information. 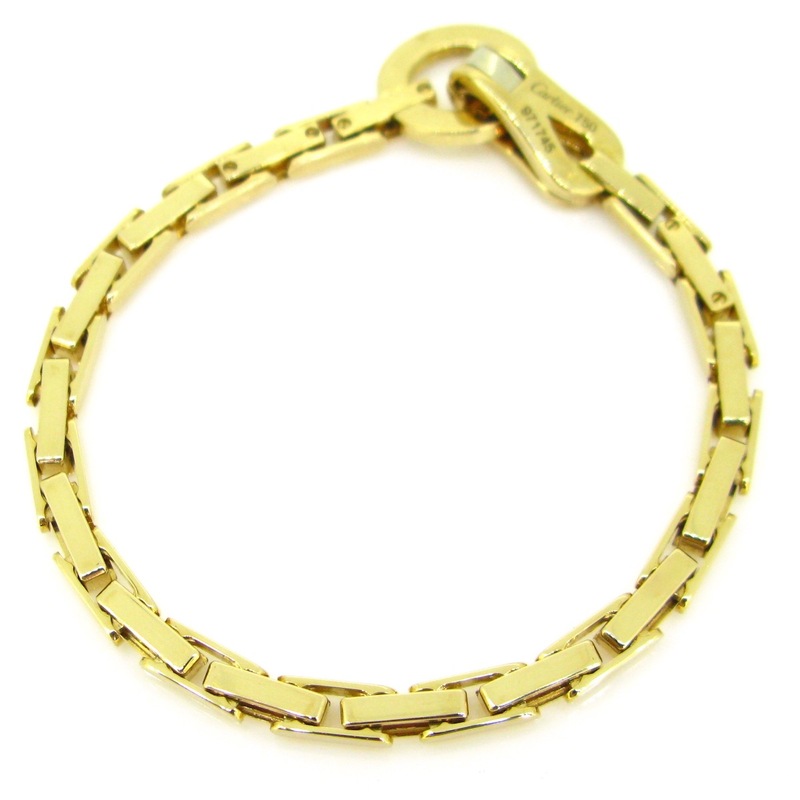 Heritagem presents : A lovely 18kt gold by Cartier. 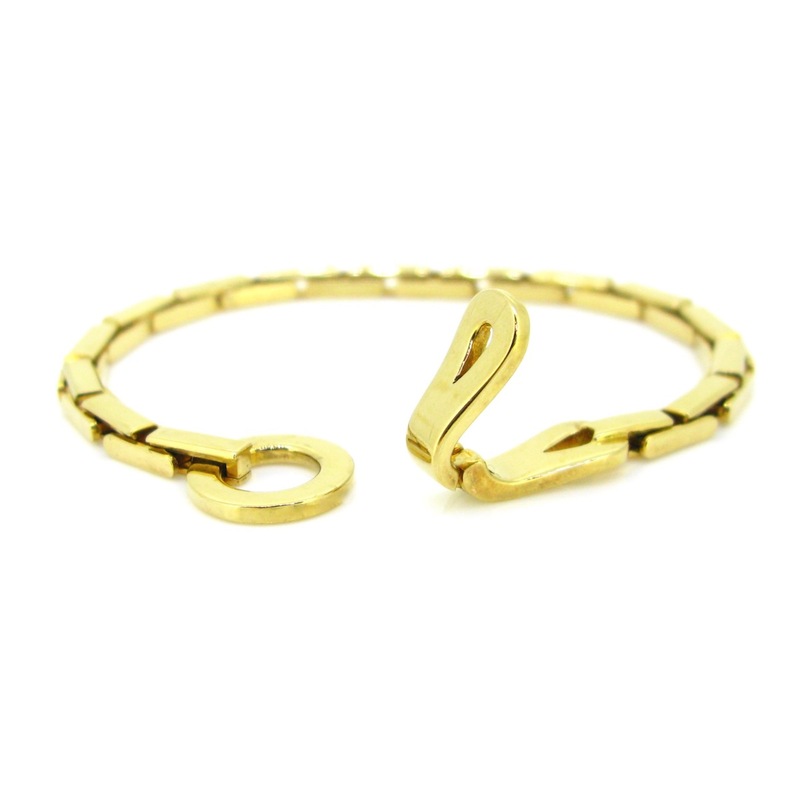 It was perfectly made in 18kt gold with refined and timeless links. The chain is perfect for everyday. It was made by the famous French jeweler Cartier in 1991 as it is engraved on the plaque.The necklace comes with its jewelry report. It is numbered : E93122. All our items come with either a gemological report or a jewellery report with circa and all useful information. 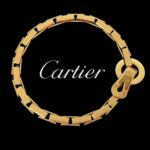 Heritagem presents:This pair of earrings is from Cartier. 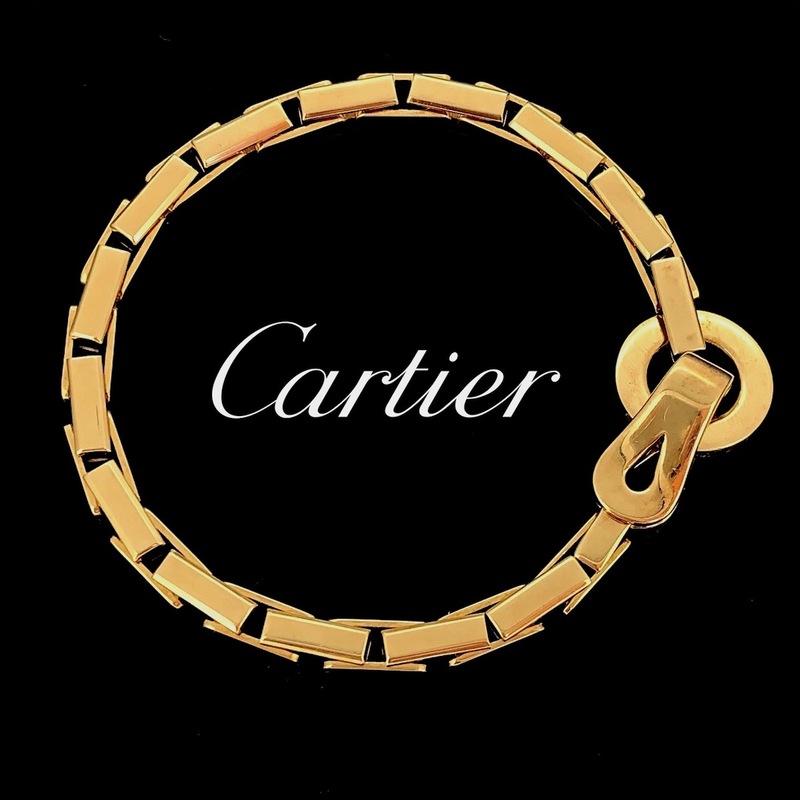 It is signed Cartier New York. They are made in 18kt yellow gold and set with round carved jade surrounded by white enamel all around. They are very elegant and comfortable to wear every day. They come in their original box. All our items come with either a gemmological report or a jewellery report with circa and all useful information.